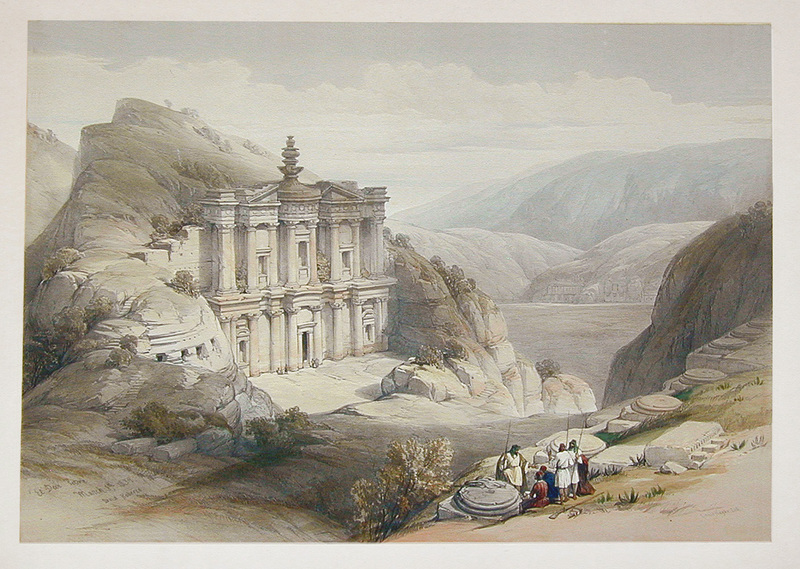 Comments: One of the best of the Petra prints, showing another of the most famous temples, El Deir ("The Monastery"), carved into the hills above the valley. Price: $2,200 uncolored, $2,350 colored. Paper: Approx 16 1/2" x 24" 3/4"
Image: Approx.13 1/2" x 19 1/2"